Hector Auvray rose from humble origins because he is an extremely powerful, skilled, and artistic telekinetic. He may not be an aristocrat but at least he is famous and rich. Valérie Beaulieu is famous, rich, beautiful, and an aristocrat. None of this truly makes her happy, since women of her class have nothing they can really call their own. Her background and beauty have only made her a valuable commodity on the marriage mart. She knows that her impoverished family’s future depends on her. A dutiful daughter, she abandoned her one true love so that she could marry the wealthy Gaetan instead. Hector was that one true love. Ten years after being spurned by Valérie, Hector has returned to the city of Loisail. Hoping to catch a glimpse of Valérie, Hector attends a party. Valérie never appears. Instead, Hector meets a young, naïve country-girl, Antonina (or Nina, as she prefers). Nina, fascinated by telekinesis, knows who Hector is. Nina is telekinetic herself but her lack of control has earned her the nickname “The Witch of Oldhouse.” Hector would make a fine mentor, if only he could be persuaded to take her on. Hector is astounded to discover that Nina’s aunt is none other than his lost Valérie. A conversation with Valérie goes … poorly. Having established that the aunt is forever out of reach, Hector decides to court Nina in her place. Valérie is displeased; just because she’s done with someone does not mean they get to be done with her. She considers Hector’s interest in Nina an insult. She is also sure that a mere entertainer is no suitable match for her niece, no matter how unfashionable or foolish the girl might be. Luc Lémy is a far more suitable match. The former wastrel is the right age and the right class to court Nina. What might be more to the point is that he has a bold commercial vision that could make Luc (and more importantly Valérie) a lot of money, provided Valérie’s husband Gaetan can be convinced to invest. Gaetan dotes on Nina; he would not hesitate to help her husband. And if Hector finds that he has somehow, unexpectedly, inexplicably fallen for Nina? Nothing a duel cannot settle. This will be a fun book to throw at certain parties who want to bifurcate the Best Novel Hugo into fantasy and SF. 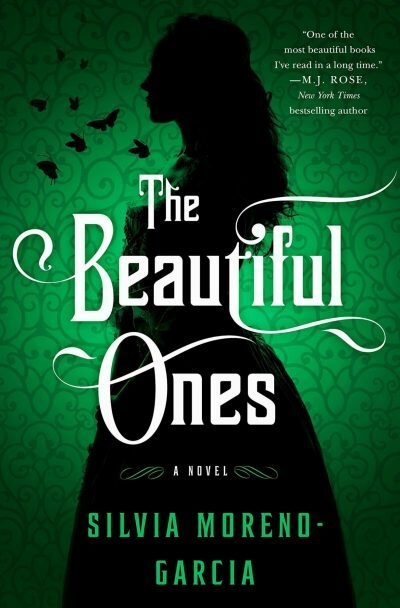 Is The Beautiful Ones a fantasy novel or science fiction? I admit there’s room for debate. Some would incorrectly interpret this as fantasy while others, being aware of the history of the field, would know this fits nicely with core tropes long considered perfectly acceptable in SF. The only difference between Hector and Gil the Arm is tech level. Well, and the fact women are far more prominent in the narrative than they would ever be in a Niven. However telekinesis works in Moreno-Garcia’s world, the impact has been small enough that the culture developed along familiar lines. There are aristocrats and the rabble, wealthy and the poor. Aristocrats are sometimes poor but they can trade their access to the upper levels of society for money. Unfortunately for women like Valérie, marriageable women are the coin used to seal alliances between ambitious plutocrats and grasping aristocrats. Both Hector and Valérie are unappealing characters, at least to this reviewer. Hector is still angry that he was spurned. Hector is the sort of person who would court a young woman to get revenge on her aunt. Though he might later have decided that he loved Nina for her own sake, it’s no great achievement for a middle-aged man to fall for a much younger woman. Valérie is still unhappy that she was forced into an arranged marriage; she does not see why Nina should be lucky enough to escape the same fate. Valérie is manipulative, spiteful, and murderous. Hector may at first seem more sympathetic, but if you think about it — it is only because he has the freedom to make his own choices, because he is male and rich. He could walk away from the whole situation and live in luxury elsewhere. Valérie is trapped: whether she is cast aside or leaves of her own choice, the end of her marriage would ruin her family. All she can do is endure. No wonder she is embittered. If you’ve ever thought that what Dangerous Liaisons really needed was more Force Adepts, this may very well be the book you’ve been waiting for. The Beautiful Ones is available for pre-order here (Amazon) and here (Chapters-Indigo).